Globalization has changed the world's economic landscape. Increased flows of goods, capital and services in global markets reshape the infrastructure of industries and result in closer integration of countries around the world. To increase the nation's competitiveness, many developed-countries have invested in the development of a National Information Infrastructure (NII). 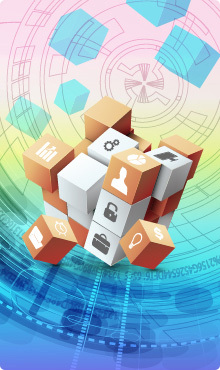 A nation-wide interconnected network of communications would provide private sector access to its country's public information, computing recourses, and interactive services in a technological neutral manner. Benefits of a well-implemented NII include promoting information transparency and fair access, widening public participation in socio-economic developments, reducing the cost of government services, and accelerating efficiency and innovation in industrial developments. In 1996, Dr. Han-Min Hsia, advisor to the President of the Republic of China (Taiwan) and ex-minister without portfolio in charge of technology policy, established National Information Infrastructure Enterprise Promotion Association (hereinafter NIIEPA). NIIEPA is the first non-profit organization that promotes a national information infrastructure in Taiwan and has introduced many cutting-edge technology developments and applications into Taiwan. It has successfully served as a trendsetter as well as a bridge between the industry and government in Taiwan's ICT developments. Today NIIEPA continues to play a crucial role in facilitating public interest with the government in domestic ICT policy making. Internationally, NIIEPA also actively participates in global/regional ICT and Internet Governance research, and takes part in global organizations such as IGF, ICANN, and WSIS to shape the future of the internet. 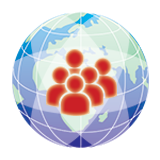 In 2005, NIIEPA began to provide IT Governance Advisory services as an integral part of its core missions. The services provided are ISMS, PIMS, ITSM and cloud security certification consultation and training. 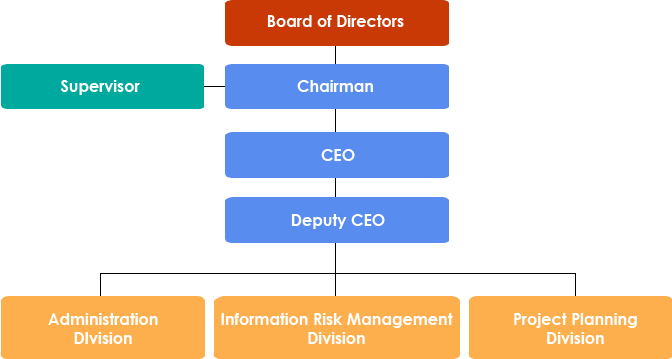 NIIEPA has over 20 consultants with an average of 10 years' experience in IT management and governance. In nearly a decade, NIIEPA has serviced more than a hundred clients in the government organizations, academic institutions, and industrial corporations. Promote the right to access open technology and information on the internet through privacy and data protection. Develop policy to resolve the internet governance issues such as sovereignty, IPR, and freedom of speech. Information security and data protection awareness training. National standards research and promotion. - Distinguished Visiting Hoover Fellow in Hoover Institution, Stanford University. - Minister of State, and concurrently Convener, Science & Technology Advisory Group (STAG), and NIIEPA Steering Committee for the Cabinet. - Chairman, National Science Council. - President, National Cheng Kung University. - Vice Minister, Ministry of Education. Chuan-Chang Tu - Director General, Taipei Computer Association (TCA). Kuo-Wei Wu - Consultant, NIIEPA. Chung-Ju Chang - Professor, Department of Electrical and Computer Engineering, National Chiao Tung University. Ruey-Beei Wu, - Professor, Department of of Electrical Engineering, National Taiwan University. Chung-Biau Tsay - Chair Professor, Department of Mechanical and Computer-Aided Engineering, Feng Chia University. 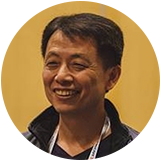 Yao-Huang Kuo - Professor, Department of Computer Science and Information Engineering, National Cheng Kung University. Zsehong, Tsai - Professor, Department of of Electrical Engineering, National Taiwan University. I-Ning Wan - General Manager, MegaMicro e-Enabling Services, Acer Inc.
Jui-Lung Liu - CEO, SYSCOM Computer Engineering Company. Jen-Te Chien - Board of Director, Dafeng Media Group. 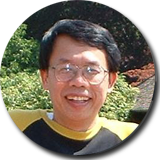 Hsu-Pien Hsieh - Professor, Department of Computer Science, National Chiao Tung University. Char-dir Chung - Professor, Department of of Electrical Engineering, National Taiwan University. King-Yuh Chang - Professor, Department of Diplomacy, National Chengchi University. Jung-Kuei Ho - Professor, Graduate Institute of Information and Computer Education, National Taiwan Normal University. Han-Ming Li - Professor, Department of Computer Science and Information Engineering, National Taiwan University of Science and Technology. - Director, Advisory Office, Ministry of Education, Taiwan (R.O.C.). 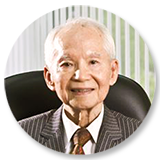 - Professor Emeritus & Vice President, National Chiao Tung University. - President, Chinese Society for Technology Management. - President, Institute of Engineering Education Taiwan. - Board member, National Applied Research Laboratories, Taiwan. - Board member, Institute for Information Industry, Taiwan. - IEEE Third Millennium Medal, and IEEE Circuits and Systems Society Golden Jubilee Medal. - IEEE Fellow (for contributions to circuits and systems for communications and signal processing). - CEO, HAMASTAR Technology Co., Ltd.
- Dean, College of Computer Science ,China University of Technology. - Director/ University Librarian/ Deputy Vice President for Academic, National Kaohsiung First University of Science and Technology. - Deputy Director, Computer Center of M.O.E.